Please contact us for details of these products - available to order from our sales teams. -12 to 350°C across the range, 120mm deep. Isotech’s Quick Cal range of testers are ideally suited to the less exacting applications where our larger, better specified baths are unnecessary. The Low Temperature Quick Cal covers the temperature range of -12°C to +140°C, making it ideal for the medical, sterilisation and food industries. 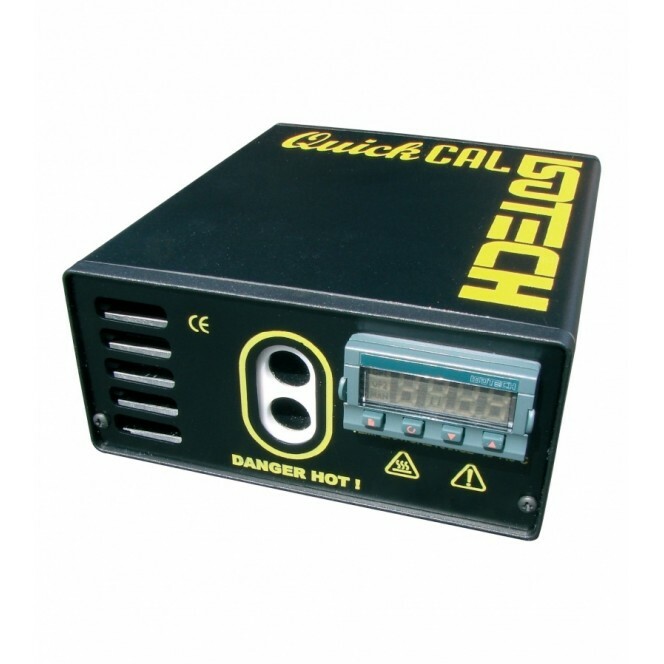 The High Temperature Quick Cal covers the temperature range from 30°C to 350°C. Both have interchangeable inserts, so you don’t have to buy another calibrator each time you find a new diameter sensor to calibrate. 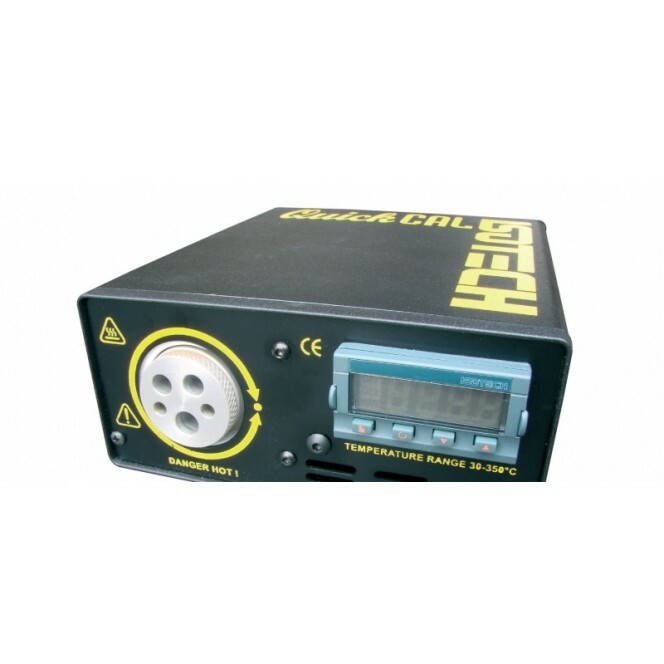 The Low Temperature Quick Cal is particularly exciting since it can work from a small 12 volt battery, making it truly portable, alternatively a mains supply is available with 100V - 240V, 50/60Hz input. The Low Temperature Quick Cal comes complete with two inserts, one blank and one drilled 6.8mm diameter 120mm deep. Alternatively we can provide pre-drilled inserts to suit your needs. Each calibration well is 13mm diameter and 120mm deep. The High Temperature Quick Cal has a single larger well and interchangeable inserts, 25mm in diameter by 120mm deep. Blank and other special drillings are available to order. 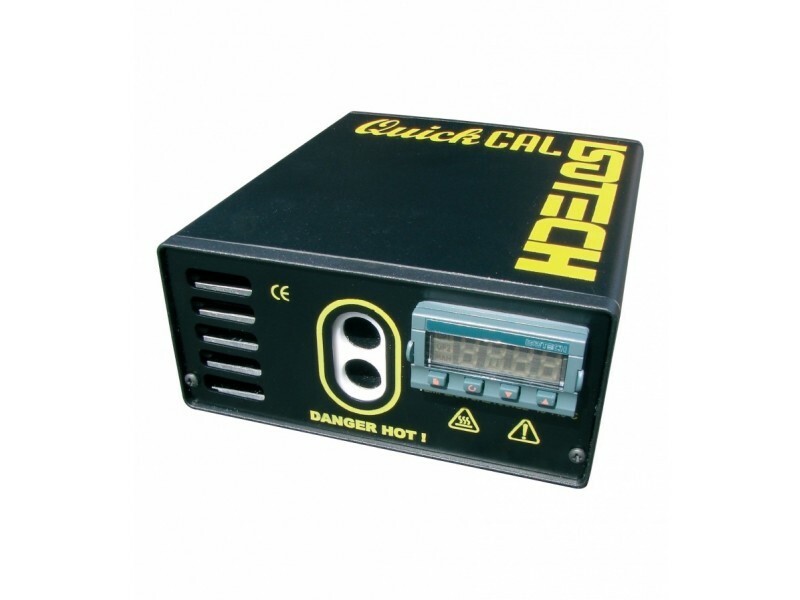 The High Temperature Quick Cal is supplied 100-130 or 200-250V AC, 50/60Hz. The manual which accompanies the Quick Cal contains helpful advice on how to get the best from your calibrator. Accuracy ±0.1°C to ±0.4°C using comparison techniques. ±0.4°C against display temperature with a single probe in the 6.8mm drilled sleeve. ±0.1°C to ±0.4°C using comparison techniques. <100°C ±0.4°C againt display temperature with a single probe in the 4.5mm pocket. >100°C ±1.5°C against display temperature with a single probe in the 4.5mm pocket. Max. Temperature -12°C to + 140°C. 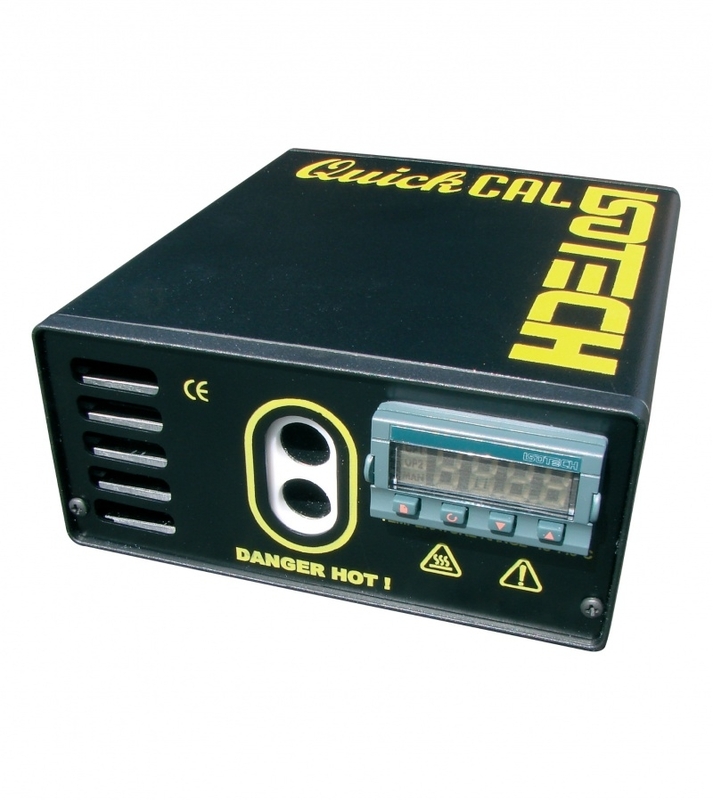 In an ambient of 20°C the Quck-Cal will achieve lower temperature if used in a lower ambient temperature.